Nestled in the heart of one of DC's liveliest neighborhoods, Pod Hotel is the perfect place to stay while visiting our nation's capital. It is by far one of the most fun and energetic hotels I've been to in the city. Located in Penn Quarter, Pod Hotel is just minutes away from the Capital One Arena, Gallery Place shopping center, Washington D.C. Convention Center and Chinatown! The best part? Getting there is incredibly easy as it's 5 minutes away from Union Station and 15 minutes away from Ronald Reagan Airport. If you're looking for the most bang for your buck, you've come to the right place! I love Pod DC Hotel because it cuts through the fluff to provide guests with an elevated experience that's budget friendly! The pods were designed with efficiency in mind, so you won't find anything that you won't need. That worked out great for me because I spent most of my stay taking advantage of hotel guest access to the rooftop bar, restaurant, and whisky lounge. I had so much fun in the hotel's social spaces, that I slept like a baby through the night. Waking up to a view of the Lincoln Memorial was icing on the cake! The staff at Pod DC were such a delightful bunch. I was greeted by the most amazing concierge and even found some tasty treats in my pod! I don't know about you, but great customer service goes a long way in my book. If you feel the same way, keep Pod DC at the top of your list the next time you're planning a trip to the District. Nothing says summer in DC like a rooftop get together and Pod DC Hotel has the best view in town! I couldn't keep this stunning bar to myself, so I grabbed my friend Alise to join me. Crimson View is the perfect weekend hang out spot. The atmosphere is perfect, and the food and drink is amazing. I also loved that it wasn't overcrowded! I'll definitely be back for more summer festivities. Can you believe this is only one of three social spaces that the hotel offers for their guests? Keep reading for details on the other two Crimson spaces! If you're looking for something heavy to eat, Crimson Diner is a great option. It's located on the main floor of the hotel as you walk in. I love the old school ambiance that the diner provides, and the food is delicious. During my stay, I ordered the Fried Chicken Sandwich for dinner - it does not disappoint. Whisky Bar is a level below the diner. I wasn't able to take photographs there, but trust me, it's super chic. You can honestly never get bored while staying at Pod DC Hotel, because there's so many cool spaces to take advantage of! DC is such a fun city full of history, culture, and amazing sights to see. I hope this post has inspired you to book a trip to the District - even if it's for a weekend. 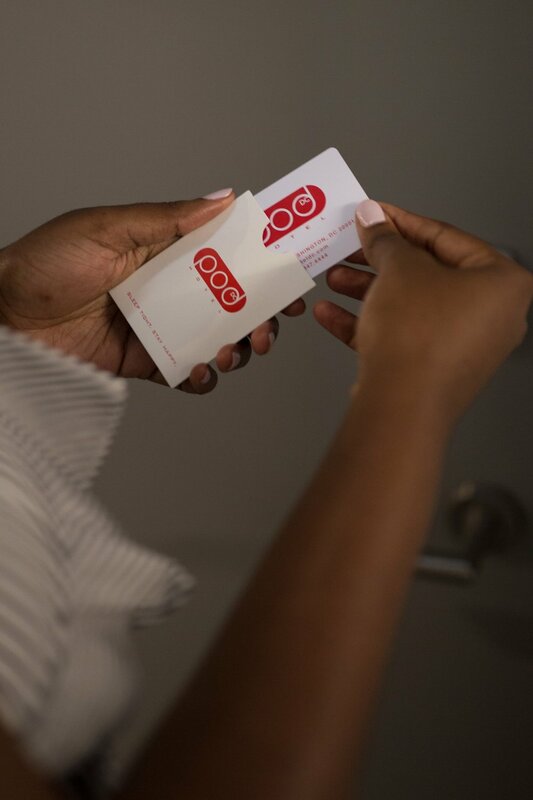 Whether you plan to take the city by storm or hang around the hotel, Pod DC has you covered! Huge thanks to Pod Hotel DC, SheIn & Second Sight for sponsoring this post.